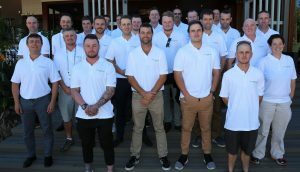 The AGCSA, in conjunction with Jacobsen, held another Future Turf Managers’ Initiative, after the success of the inaugural event in Australia last year. With help from the NZGCSA, delegates from New Zealand were also selected to take part in this joint venture. The FTMI took place at the 33rd Australian Turfgrass Conference and Trade Exhibition at the Novotel Twin Waters Resort at Mudjimba Beach, Queensland. 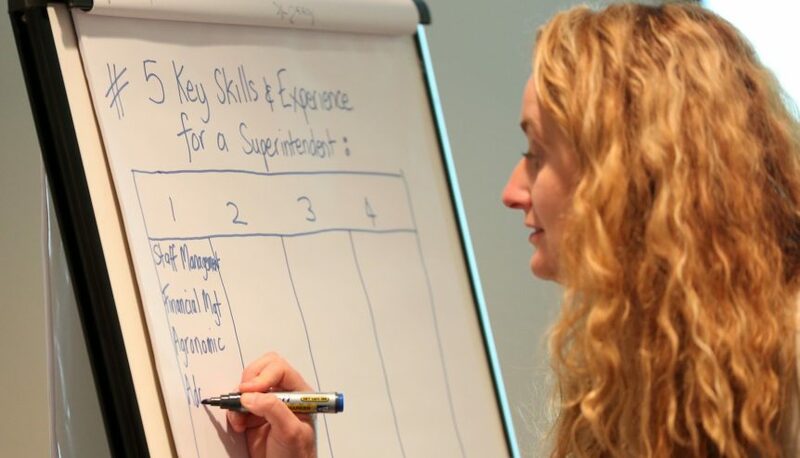 The two-day educational event is aimed at up-and-coming course staff who are focused on making the career leap to Superintendent or Course Manager. 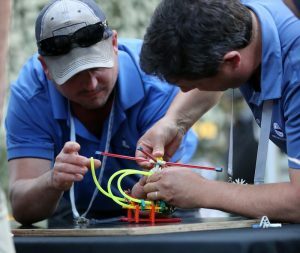 Focusing on personal and professional development, the FTMI uses the expertise of respected course managers, cross-industry training specialists and industry experts to mentor and educate the next generation of industry leaders. The event involved presentations on budgeting, an insight into the Australian job market, CV and cover letter writing and interview techniques. The speakers were Stewart Fenton, CEO of Royal South Yarra Tennis club and president of Golf Management Australia (GMA), Lee Strutt, Course Manager at the Royal Automobile Club, Jeff Blunden from the Golf Business Advisory Services (GBAS), and Susanne Macphee, a human resources management professional. The mentors were of the highest calibre and were on hand to support the groups assigned to them. Mentoring at FTMI for the first time were Leon Hennessey, Superintendent at Cromer Golf Club, NSW, and Travis Scott of Riversdale Golf Club, Vic. Mentoring for the second time was Ben Tilley of Headlands Golf Club, Qld, and for the fourth time, after being involved in the FTMI in New Zealand was John Spraggs of Royal Wellington Golf Club, NZ. “It has been a privilege to be a part of this unique event in Australia. I personally found it such a fulfilling experience to mentor a group of superintendents who are so passionate about the industry and furthering their careers. 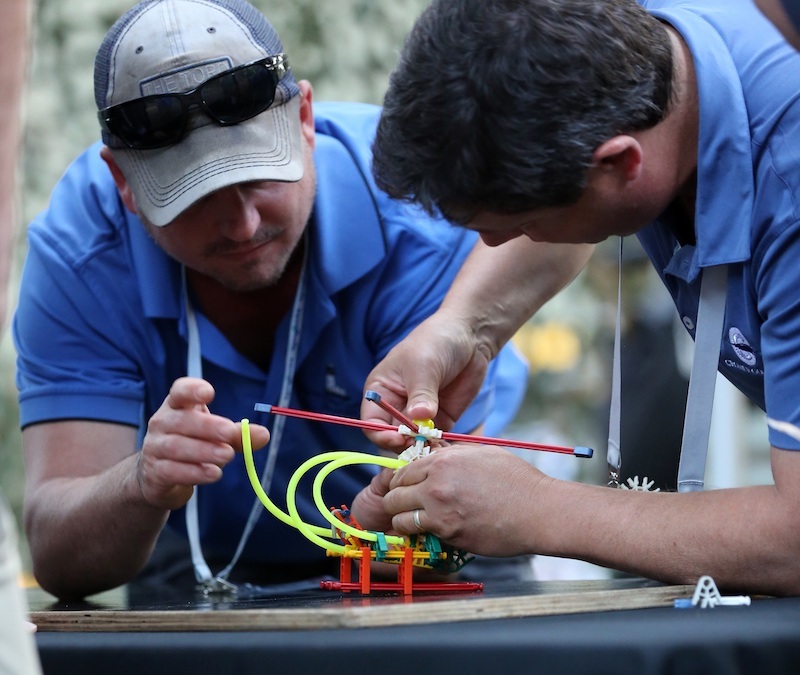 “It has been another fantastic FTMI in Australia! The delegates were engaged throughout the two days, and it was touching to hear some of the positive feedback from all involved. I would like to thank the AGCSA and NZGCSA for working with us to make the event possible, it’s an initiative we are extremely proud to be a part of. This year’s delegates were: Luke Nowlan, Mathew Soles, Thomas Bickerdike, Brittney Goldsworthy, Ryan Pantic, Brenton Clarke, Tim Hoskinson, Simon Work, Jason Berkhout, Jacob Burridge, Rob Arestia, Matt Pollock, Danny Adams, Nick Launer, Garry Kunz, George Flynn, Alex Yates, Connor Scott, Kiel Stechman and Lance Morrin. 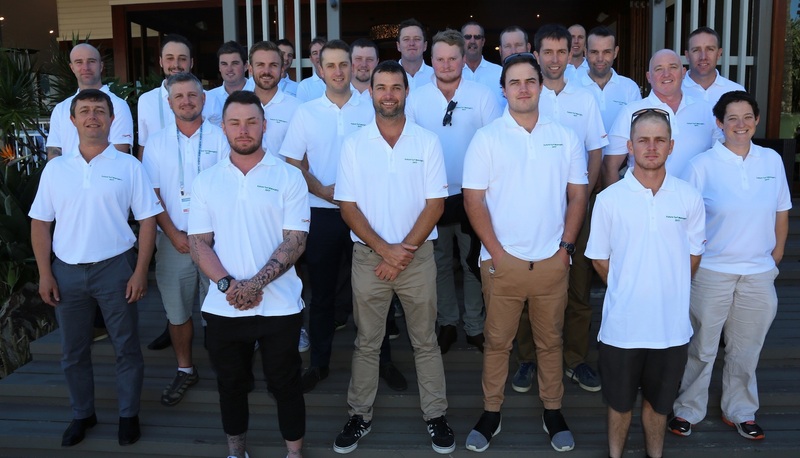 These delegates join a cohort of more than 160 greenkeepers from around the globe, who have graduated from the Future Turf Managers Initiative during the past five years.